AnARTchy was created to offer a radical yet realistic perspective into the future of an artistically rich high school whose programs are abolished due to lack of support and funding. 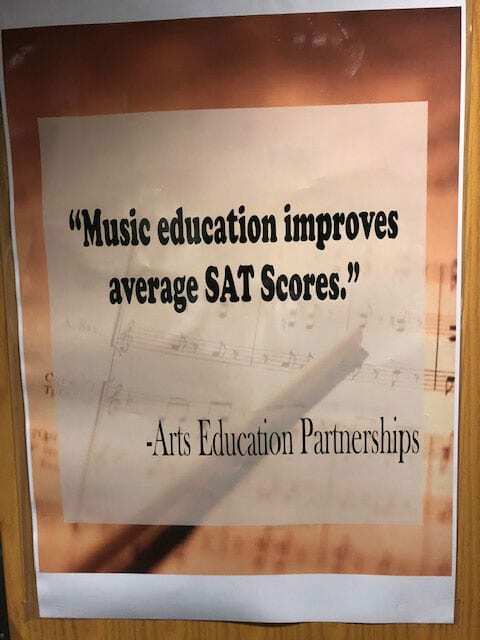 Dr. Cherry wrote this script in an effort to “EDUTAIN” stakeholders on the great benefits of arts education and its relevance in developing the whole child. In 2017, Dr. Cherry chose to take a different approach on their orchestra’s annual Halloween Concert. The story begins with a video of students searching through old yearbooks for pictures to place in a slideshow to commemorate the school’s 25th Anniversary. They notice the books are rich with pictures from the music / arts programs that their school used to have. The students reveal that the school has an old fine arts hallway that is believed to be haunted. They decide to visit the school on Halloween Eve in hopes of discovering what happened to the arts programs. The students embark on a spooky, musical journey where the Ghost of Fine Arts Past and other artistic ghosts enlighten them about the Assess Stress Monster that pushed the arts out of the curriculum. The Drummers For Change “beat” sense into the mind of the monster and returned the arts to the school. The end of the show brings all of the arts programs together on-stage for a huge finale! Afterwards, a video on the screen shows the star of the play asleep in the media center and is awakened by her ELA teacher (who happens to be the Assess Stress Monster) in the show! She realizes that the entire AnARTchy show was just a dream and that the arts are still alive at Mays High School. While the outcome of AnARTchy was only a dream, it is well on its way to becoming a reality if we do not find a way to strengthen the artistic initiatives in our public schools. 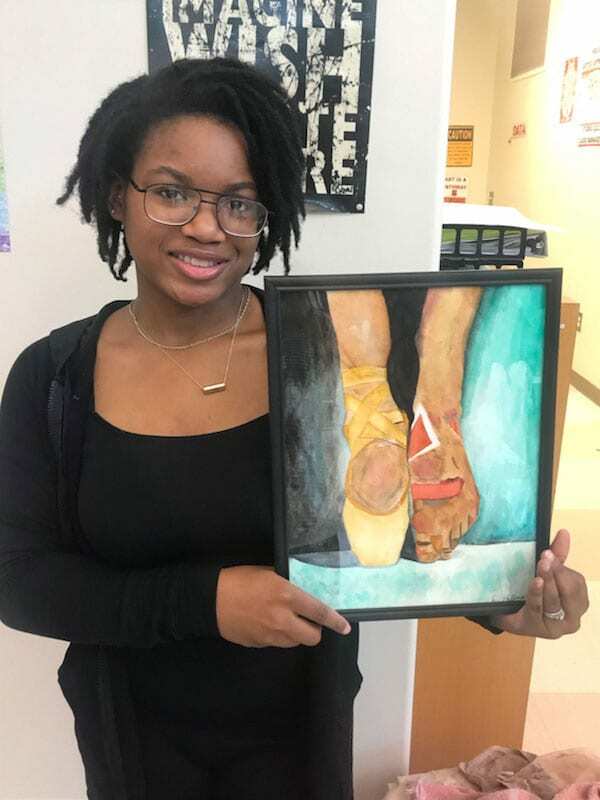 Over the past several decades, schools within the Southwest Atlanta community have seen a drastic decline in arts initiatives. Due to the school district changing from public to charter, principals have been given the autonomy to decide which programs to keep and which to eliminate from within their buildings. Unfortunately, many building leaders have opted to trade their music educators in for part-time core content educators in hopes of increasing assessment scores. 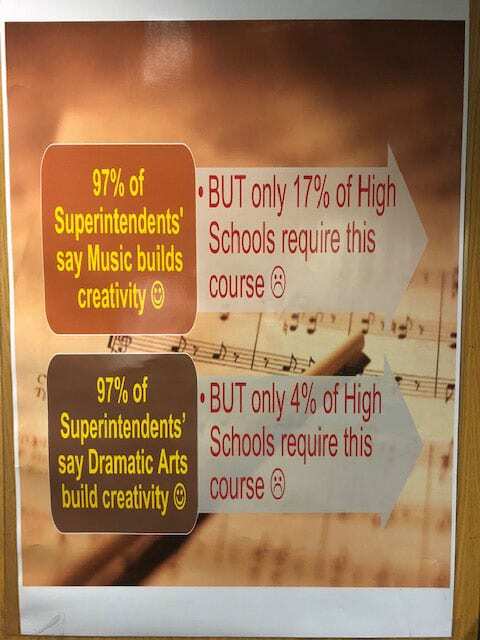 These decisions have crippled the high school programs that once boasted high arts achievements that included representation at Georgia Music Educators State Conferences, Governor’s Honors, and All-State competitions. Initially, our intention was simply to target all stakeholders within our community. However, we realized that our primary target audience needed to be geared towards the decision-makers who truly impact the outcomes within our educational community. Invitations were sent to our Superintendent, her entire cabinet, the entire school board, and our cluster administrators. Unfortunately, we did not have the turnout that we had hoped for. However, those that were in attendance were so moved by the performance that they requested that we put on another showcase for a special audience of stakeholders. At the beginning of the 2017 school year, I presented the idea for the show. The students were positive but did not fully understand the vision. I started writing the script in August. The students began sight-reading horror music to determine the repertoire. The Choral director agreed to play the Ghost of Fine Arts Past. Our art teacher created an entire project for her classes around AnARTchy. There was an art exhibit in the lobby of the theater that showcased art that encompassed the pain experienced by artists who are not allowed to share their talent. 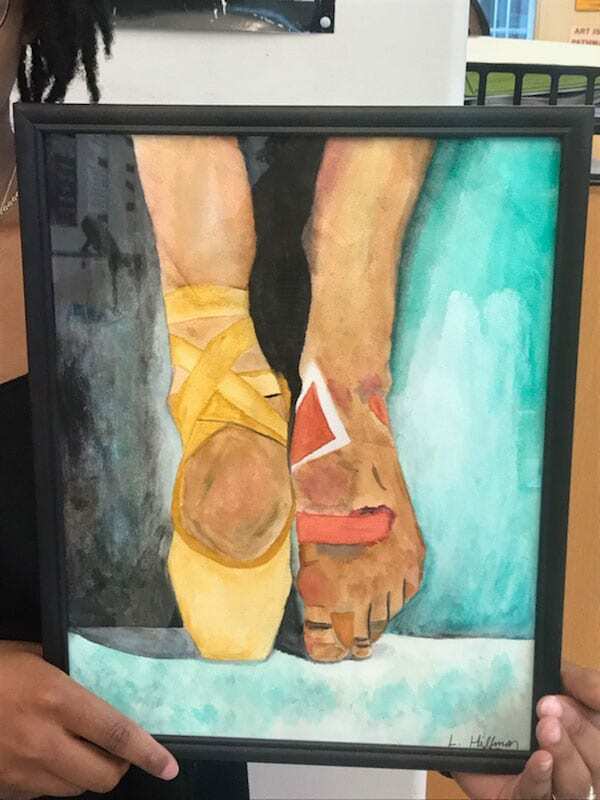 For example, there was one painting of a ballet dancer with one ballet slipper on and the other off to show the bandages and pain that the dancer feels, but hides. Dr. Cherry works diligently to provide her audiences a well-rounded show that exhibits more than just orchestral music! For the past five years, she has included students from within their cluster elementary and middle schools to be a part of the show. 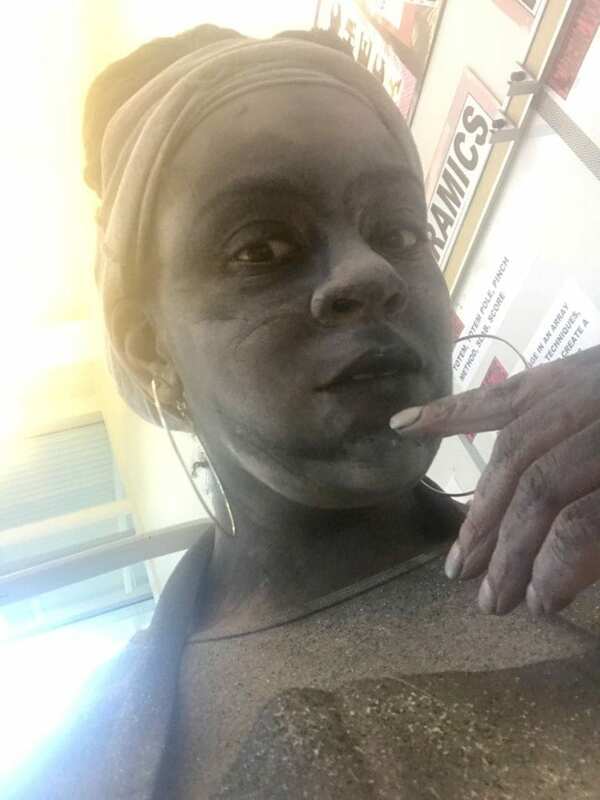 She also partners with a neighboring high school (even if it’s within another school district) to strengthen the unity of like-minded students from the same community. For AnARTchy, we invited students from our district’s newest string program at Maynard Jackson High School. In 2012, I was hired as the first full-time orchestra director that Mays HS had ever had in its 31 year history. This made Mays HS the third school, out of nine high schools, to have a fully functioning orchestral program. In 2016, Maynard Jackson High School hired their first full-time orchestra director. 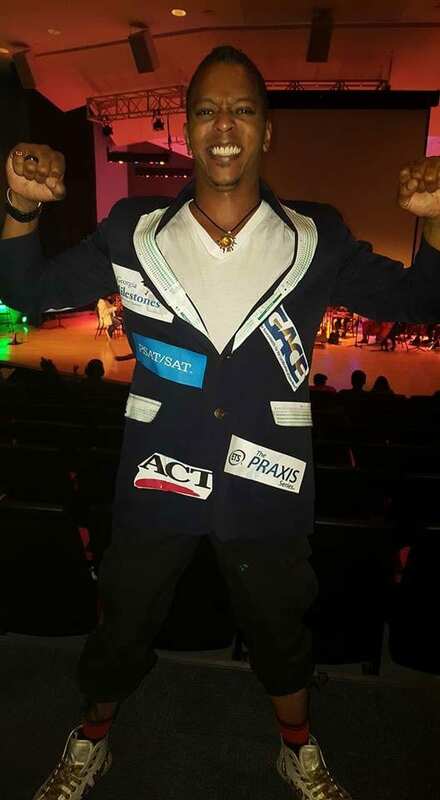 We invited their students to perform with us to offer them an opportunity to perform with an established program as they continue to grow and build. Their students and director were so grateful for the experience that they have requested to join us on this year’s Fall production too! 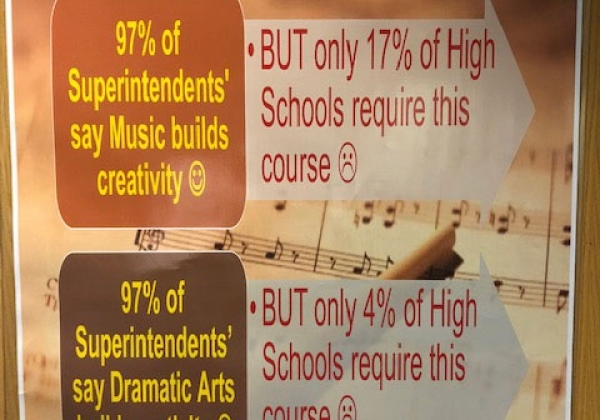 At the beginning of the 2017-2018 school year, our district’s Director of Teaching and Learning held a meeting with the music educators to discover why our participation numbers for All-State and Governor’s Honor’s were decreasing. AnARTchy was my artistic response! We have truly felt the negative impact of decisions made by our educational leaders at the high school level (i.e. lack of funding, lack of support, transitioning from public to charter). Our ensembles that used to seamlessly performed grade 6 repertoire is currently having difficulties performing at grades 3 and 4. With hopes of returning the artistic luster that used to reign here, high schools are forced to recruit beginners. Our school district is divided into clusters by high schools. Each high school has one or two middle schools and three to five elementary schools that feed into it. In the Spring of 2015, 80% of the district’s elementary music programs were abolished. Due to the strong connections that our orchestra program has made over the years with cluster administrators, four of the five elementary schools within our cluster chose to keep their orchestra programs. However, all but one of the band programs at the elementary level was eradicated. 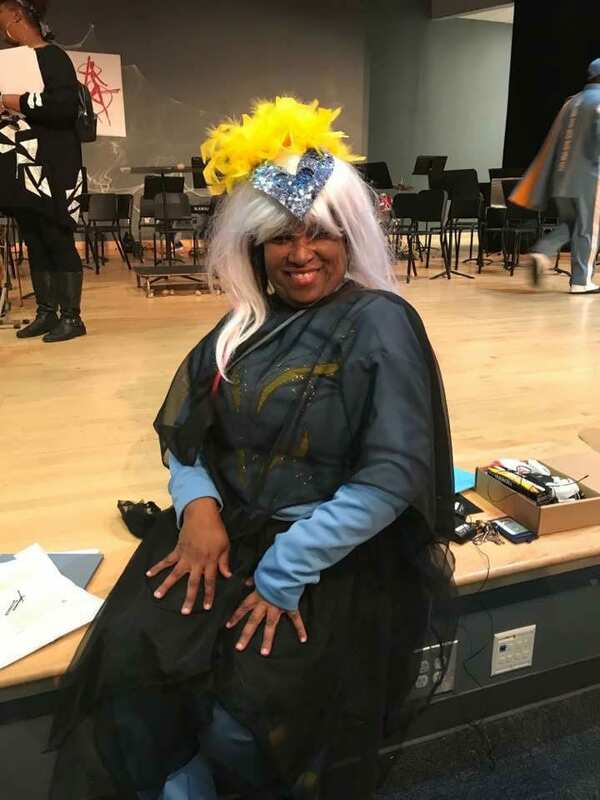 After one of our parents, who is also an educator at the one elementary school that abolished orchestra within our cluster, saw AnARTchy, she encouraged her administration to reinstate their band program for the 2018 – 2019 school year. The school plans to reinstate their orchestra program in the Fall of 2019. While this may not appear to be a great accomplishment to some, we certainly see it as a step in the right direction. Our administrators are starting to understand the need for vertical alignment across the elementary, middle, and high school levels. We are grateful that we did not have to spend much out of pocket to put on AnARTchy. We used as many of our in-school resources as possible. This was a love project! Once we conveyed the mission of the show, other departments offered to partner with us to turn this idea into a reality! Our art department created the set design, costumes and all marketing materials for the show. Our broadcasting class assisted in creating the video features within the show as well as the 3-minute video used to accompany this application. Our choral director utilized the services of a dear friend at T Entertainment who provided an impromptu lighting feature free of charge! The biggest challenge (that we continue to face) is getting thru to the stakeholders, who can truly enforce change, that arts education is important and necessary in public education. AnARTchy invitations were sent to the Superintendent, her cabinet, and the entire school board. We got a response from the Superintendent stating she was unavailable to attend, but hopefully the fine arts coordinator for the district would be in attendance. While I understand that the job of Superintendent is extremely important and time consuming, the meeting that was keeping her from attending the concert was in our school’s media center, which is located across the hall from the theater. I’m grateful that our Fine Arts Coordinator was in attendance and thoroughly impressed with our production. However, no other district officials attended the performance. We ALWAYS send invitations to district level officials and have only had representation (outside of our arts coordinator) on one occasion. However, the arts students at Mays are always requested to perform at district level events. Our students deserve to have the support that they continuously show the district reciprocated when performing on our campus. Our arts coordinator, arts educators, and parents in attendance were so impressed with the message presented in AnARTchy that they requested an encore. We are currently updating the show in hopes of presenting the encore in the Spring of 2019. Our plan is to have our cast hand deliver the invitations (while in costume) to district office to ensure that the message is received. 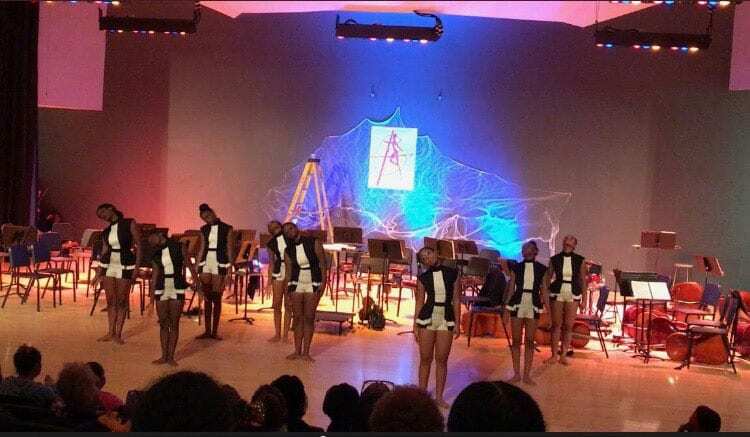 While our real-time numbers pertaining to audience size and revenue intake are not substantial, we feel our project was effective because we were successful at creating an innovative show that presented challenging yet fun repertoire for the students to engage in, however, connecting an innovative message that all public educational stakeholders need to see. Our principal, who has been extremely supportive throughout this process, has connected us with the district’s Associate Superintendent of Schools & Academics so that we can schedule a meeting with all of the cluster principals to discuss the current state of arts education and devise a plan to restore its presence in our schools and community. Utilize as many of the departments within your building as possible! We were working with very little funds. Therefore, it was necessary for us to get our colleagues to buy-in to our show’s vision. I made them WANT to be a part of AnARTchy! Including students outside of the orchestra program broadens your audience base. Allow your students to provide insight on how to create the script. Be sure to tailor your script so that your audience will understand! This includes appropriate use of slang, wardrobe, and other attributes that may be specific to your community. Market your show! Although we sent out invitations, I wish we had done a better job of marketing to the masses.